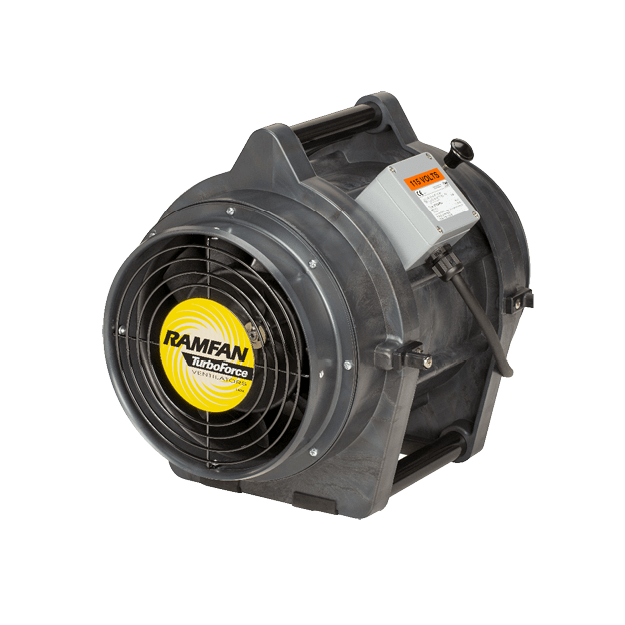 No portable blower in the world compares with the smoke removal rates of the WF20 connected to ducting from 10 in to 12 in. Warships at general quarters require powerful suction to remove smoke from interior spaces. 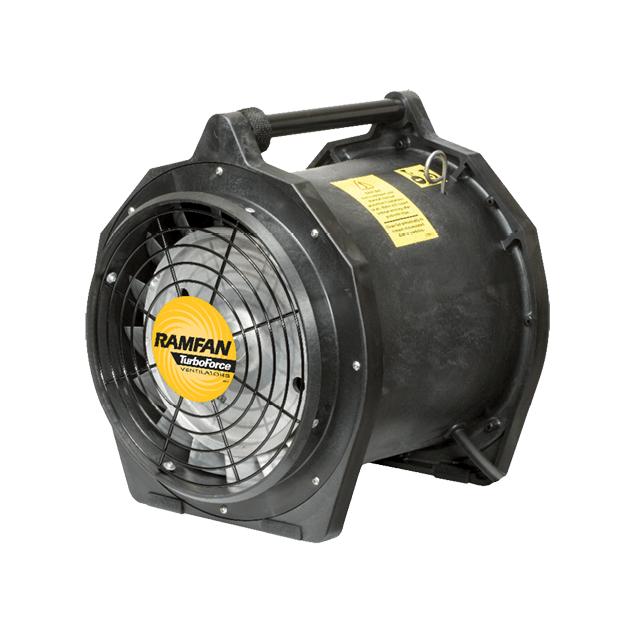 The WF20 suctions the smoke from the affected areas through long lengths of ducting to the outside air. 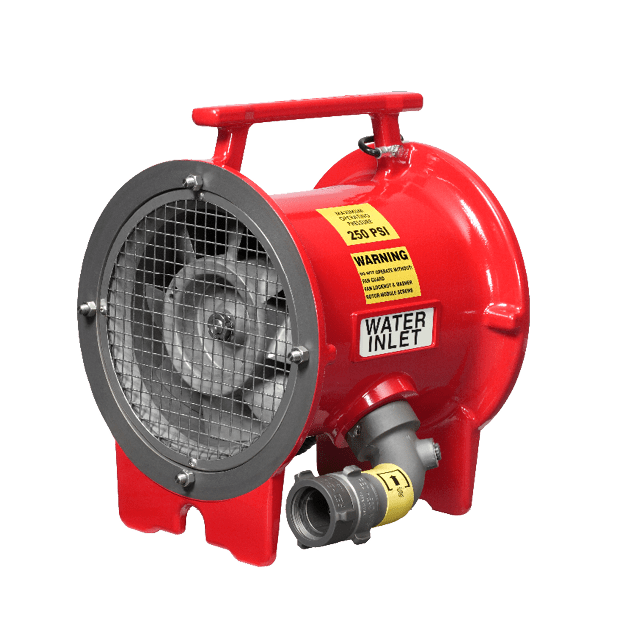 The WF20 blower uses the water pressure energy of a fire hose and a patented turbine, coupled with high-efficiency fan blades, to generate high-velocity, high-pressure airflow. 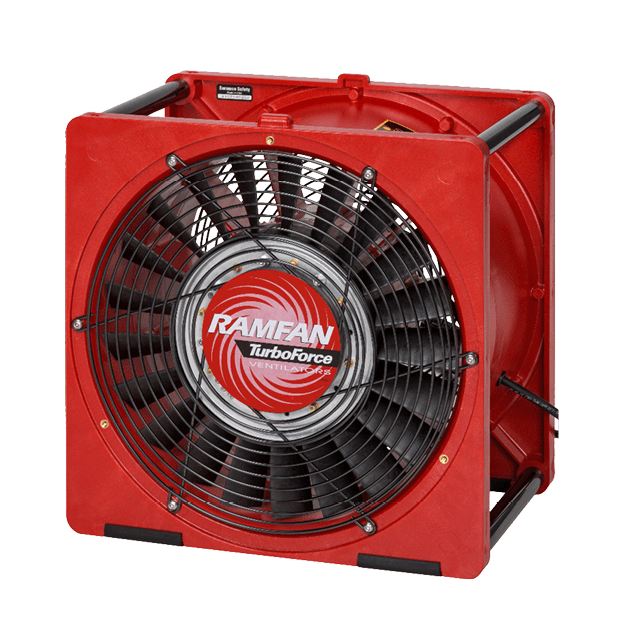 The modular construction, choice of corrosion-resistant materials and simplicity assures infrequent and simple maintenance. Exhaustive testing during U.S. Navy evaluations left the WF20 as the uncontested champion of shipboard de-smoking.